It’s almost hard to believe that ten years ago there were no cryptocurrencies at all and now there’s more than 1500! You can trade them, buy them, sell them, mine them and of course discuss them. The Internet has been going crazy over cryptocurrencies in the last year, and one of the main topics is Ethereum. 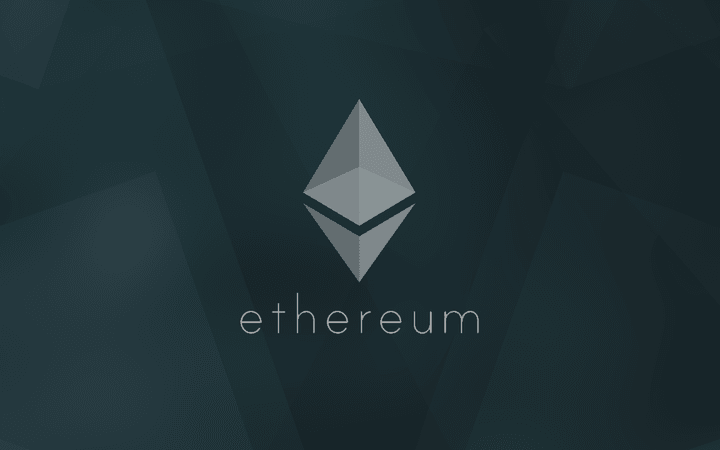 Ethereum is the second most popular cryptocurrency based on blockchain technology in the world with the market cap of over 53 billion US dollars. It was created in 2015 by a Bitcoin enthusiast Vitalik Buterin. Back in January 2017 value of one ether (Ethereum’s token) was approximately 8 US dollars. In January 2018 ether has reached its all-time high hitting 1377 US dollar mark. Naturally, same as most cryptos Ethereum was affected by the crash that happened soon after. Now, in May 2018 ether is trading at around 540 US dollar. Many financial specialists consider Ethereum as one of the safest investment options in cryptocurrency market. So, what are the reasons for Ethereum’s success? While Bitcoin focuses on only peer to peer financial transactions, Ethereum is trying to create a decentralized platform that has a lot more functionality. Ethereum runs applications called smart contracts. The goal of smart contracts is to have incorruptible applications that function without censorship, fraud, downtime or third-party interference. By implementing smart contracts one can build crowdfund projects, democratic autonomous organizations, and decentralized applications (dApps). Decentralized applications are the main reason why Ethereum had rapid growth in size and value in the past year. DApps aren’t much different from simple applications, but they run on blockchain technology. That way they remain more secure.DApps could replace many social media, email, online banking, and e-commerce centralized applications. Decentralized applications could lower the chances of possible information leaks and hacks immensely. A lot of people believed in Ethereum’s vision. There are over 1500 dApps already built on Ethereum’s network. One of the most popular ones is Golem. It allows users to borrow and lend their idle computer power to each other. Golem has more than 500 daily active users and a market cap of over 450 million US dollars. Ethereum is built on blockchain 2.0. technology. Compared to blockchain 1.0 the second version has a lot more functionality. As mentioned before Ethereum can run smart contracts and dApps while Bitcoin which is built on less advanced blockchain technology can’t. Blockchain 2.0 allows smart contracts to work and execute entirely automatically. For a transaction defined by a smart contract to be executed certain conditions must be met. Conditions of the contracts cannot be changed therefore it’s pretty much impossible to cheat this system. Automated authentication system allows transactions to execute much faster than the ones that have to be manually checked. It takes about 10 minutes for a transaction to be checked and proceeded on Bitcoin while the same process lasts only around 12 seconds on Ethereum. One more technological advancement that should soon be implemented on Ethereum is a different mining system. Currently, Ethereum mining still functions on Proof of Work method same as Bitcoin. However, soon it will be changed to Proof of Stake. Ether holders with a lot of tokens will be selected randomly to verify transactions. This kind of mining will be rewarded with fees instead of tokens. This method requires less electricity making it more energy efficient, cheaper and better for the planet. Ethereum offers an opportunity to launch Initial Coin Offerings (ICOs) for other projects built on their network. Therefore, the majority of ICOs worth of 5.6 billion US dollars in 2017 were launched on Ethereum. That generated a lot of attention and increased Ethereum’s popularity. As a result, the demand for ethers started rising increasing their value. With Proof of Stake implementation and many new ICOs planned out for 2018 there’s a decent chance that the same scenario might repeat itself this year. Even though most price predictions for Ethereum in 2018 talk about its price doubling or even tripling this year, it’s important to understand that investing into cryptocurrency is always a gamble. The cryptocurrency crash that happened in January 2018 was a reminder to many enthusiasts that the world of crypto is very volatile. However many people decided to take a chance and invest after the crash since the prices were down. There’s one golden rule when talking about buying cryptocurrency. You should never invest what you can’t afford to lose. Even though the future for Ethereum seems bright and promising the same rule applies. Path of Exile Review - What is POE Currency?